What a difference a year makes to business angel investors thinking of putting cash into the Seed Enterprise Investment Scheme. Chancellor Phillip Hammond left the Seed Enterprise Investment Scheme and Enterprise Investment Scheme in tatters after sweeping changes to the rules. Business angels feared the schemes would fall apart with the loss of some generous tax breaks. His overhaul of the investments banned capital preservation start-ups and moved the focus to genuine companies looking to grow and funding for knowledge-intensive businesses. A year on, Hammond left SEIS and EIS alone in his Budget 2018. The changes may have sent ripples through the market and some investors may have held back anticipating a further upset. But the veil of uncertainty has lifted and investors now have a clear path to pump money into SEIS and EIS before the end of the financial year. The change in the market is investors and their advisers cannot steer away from risk-averse start-ups and must accept the market is what it is. With that in mind, SEIS tax breaks take the sting out of investing in a potential loss-maker. 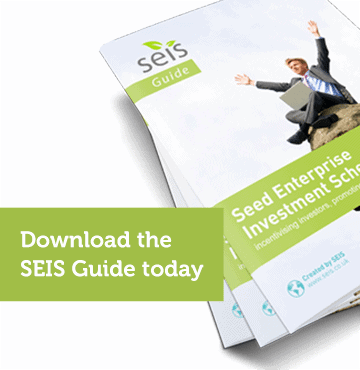 To recap, SEIS offers a refund on income tax paid up to £50,000 on a maximum stake of £100,000 a tax year. Providing the investor sticks with the start-up for three years, any growth in share value is free of capital gains tax. Other tax breaks apply to selling assets to raise the SEIS stake and to offset losses if the investment turns sour. SEIS is more streamlined. The capital preservation schemes have largely disappeared because the scheme offers no advantages to investors, leaving the field clear for genuine start-ups and intensive growth companies to soak up available investment. So what makes SEIS a suitable investment? The obvious target market are high-earners who have already hit their pension contribution limits for the year. SEIS remains the next most effective tax break and a place to shelter savings. Yes, there are risks, but the potential returns are higher than elsewhere. Investing through a portfolio manager decreases the risk by diversifying – instead of tying cash up with a single company, the money is spread across several companies in different business sectors.